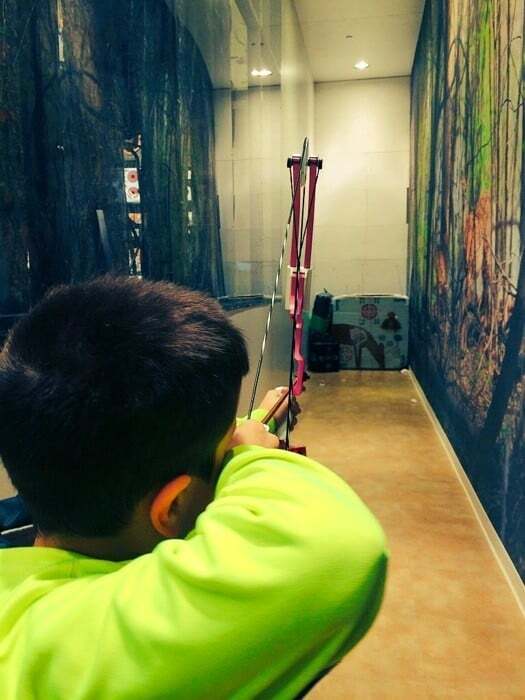 Our family has become increasingly interested in archery. Movies like the “Hunger Games” and the DC Comic Television show “Arrow” demonstrate incredible archery skills by the lead characters and have brought attention to the sport of archery to a larger audience. 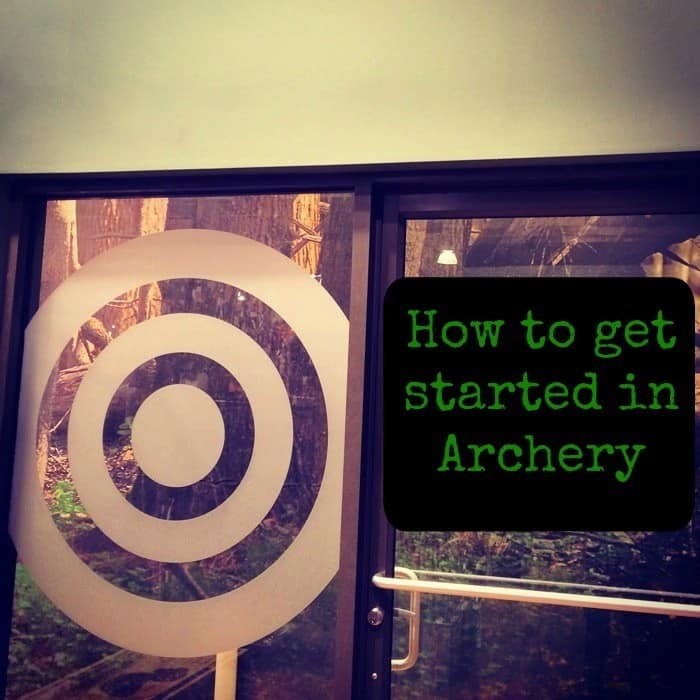 So how do you get started in archery and where do you begin? I missed out on a belly dancing lesson a few years ago and it’s been on my bucket list ever since. 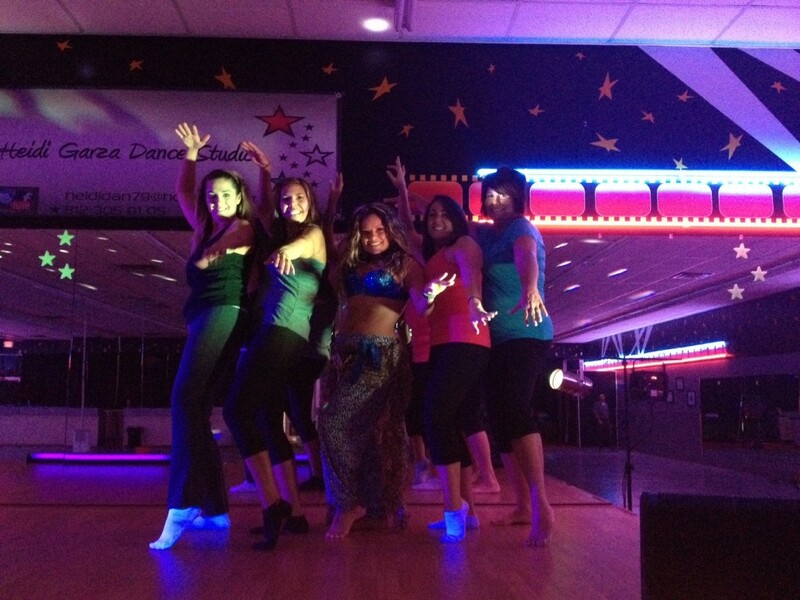 I found out about a local belly dancing class that you could take as a drop in class for $5. The dance studio was located in a plaza and showcased a picture of our instructor that looked like Janet Jackson from a far. Sign me up if I could go in like me and come out with confidence and abs like that. 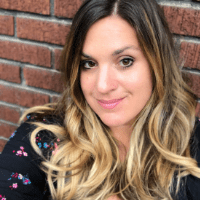 The atmosphere of the studio felt like a club with the strobe lights and loud music…. minus the creepy guys and cheesy pick up lines. 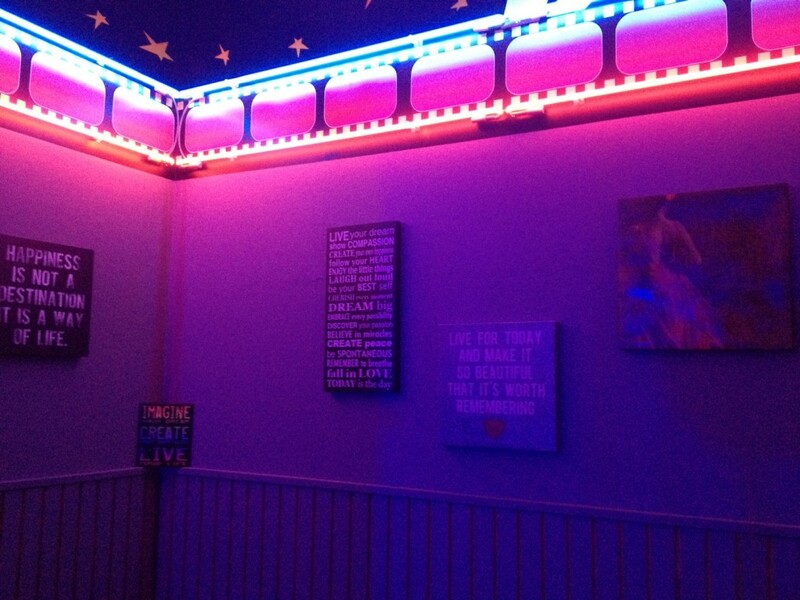 The studio used to be a movie rental store before, so the stars on the wall seemed to fit the atmosphere. I watched a packed zumba class that was ending just before our class began. 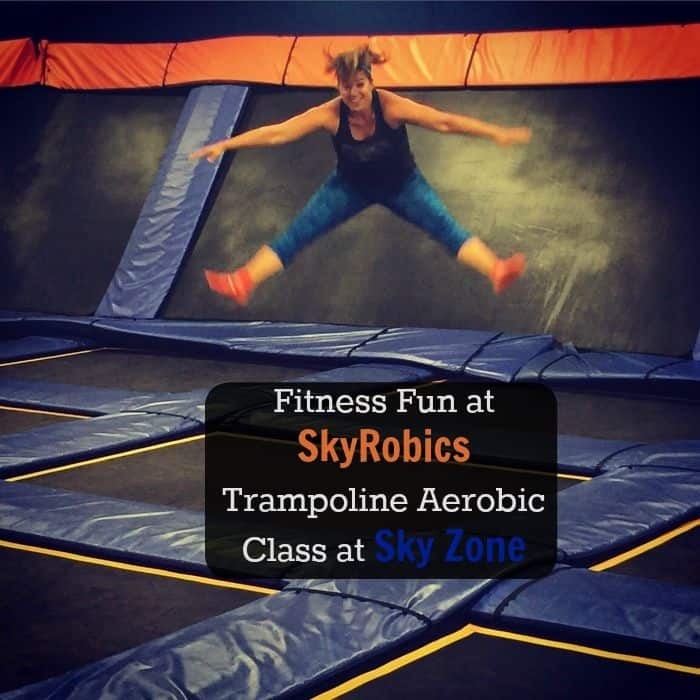 Judging by the last class, this was going to be a place where fitness meets fun. Our instructor showed me the belt that was available for purchase. I decided to wait and see if I liked the class before committing to purchase the accessory. You can also purchase them online for a bit more. We began our class with moving our hips. The challenge was to move your hip without moving your knees. It takes a bit of focus to not cheat because the movement doesn’t feel natural in the beginning. We moved on to learning other steps and movements. She moved and we attempted to follow. It was comical to watch the contrast between my friends and I and our instructor. We were having fun in our attempts. She made everything look fluid and I made it look like convulsions. I felt like my hips moved like the scene in Seinfeld when Elaine dances at a wedding. Our instructor was originally from Mexico and performed with many big acts. She made all of the moves seem fluid and had lots of energy. She was also really great at taking the time to make sure that we were getting the hang of the combinations. 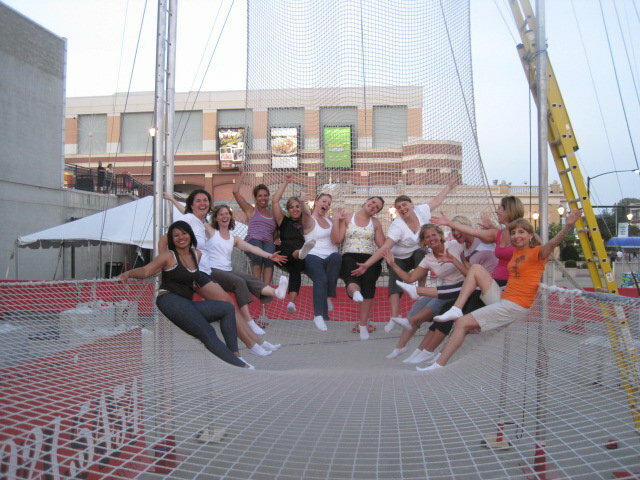 Overall, all of us really enjoyed our class and felt it was a fun workout. I do think the class would have been even better if I had the belt. It would have been great to hear the noise my hips were attempting to make. 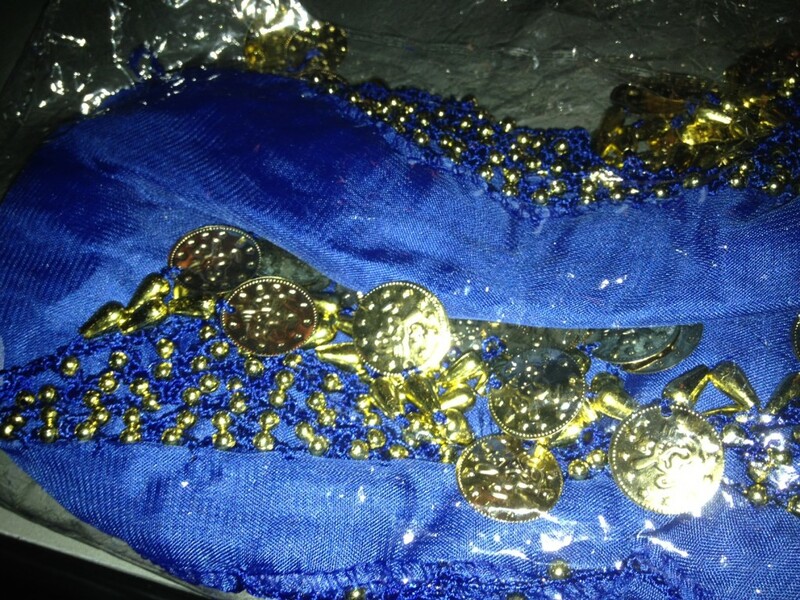 Or check out this site to find a local belly dancing class in a city near you. I think watching the 80’s/90’s tv show “Circus of the Stars” planted the seed in my mind that anyone could try being a circus star. 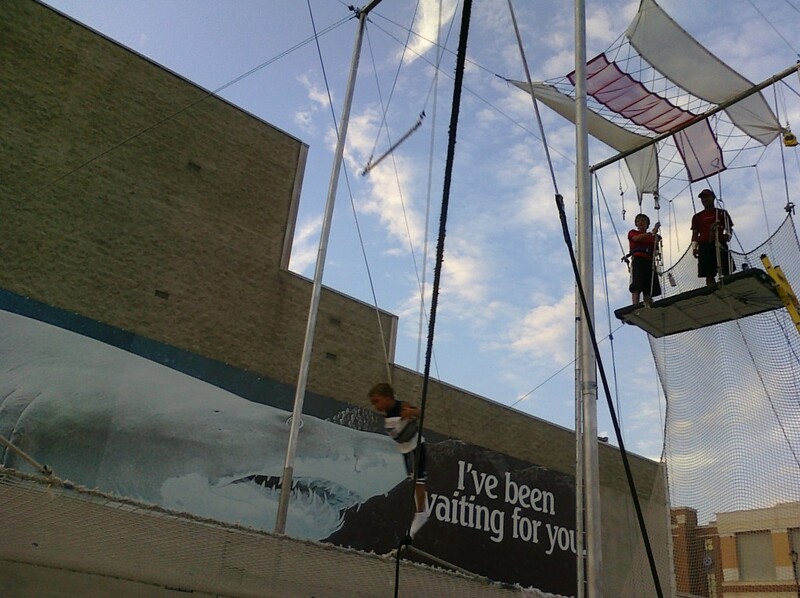 So I tried trapeze with friends…..
………and then we tried trapeze as a family. 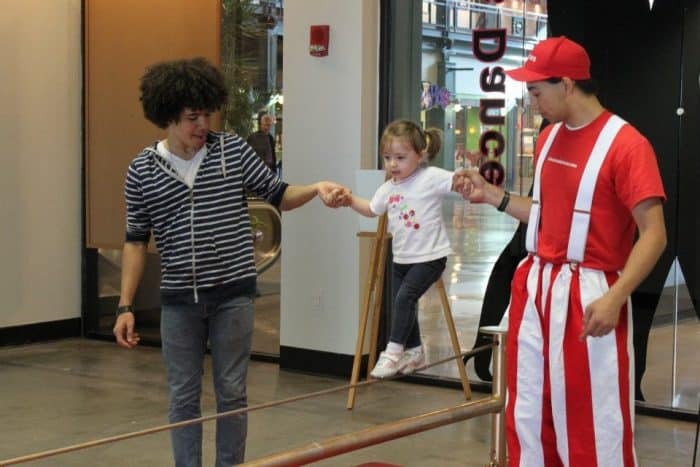 So then the logic was that if your family is a circus already …might as well learn a few skills to impress the neighbors. I’m sure you are thinking “why would you want to try that?” This is once again where the philosophy of “why not?” comes in. It’s been said that kids laugh 300-400 times a day while adults laugh closer to 15 times a day. At what point did we stop laughing or feel that to grow up and be mature means to have less joy in our lives? Who told us that to be mature was to be solemn and serious and that expressing joy was immature? 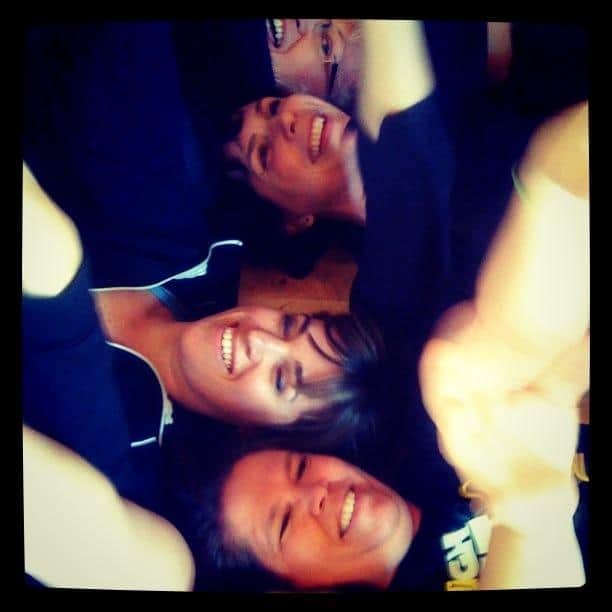 Why is it so hard for us to let go, relax and be silly? 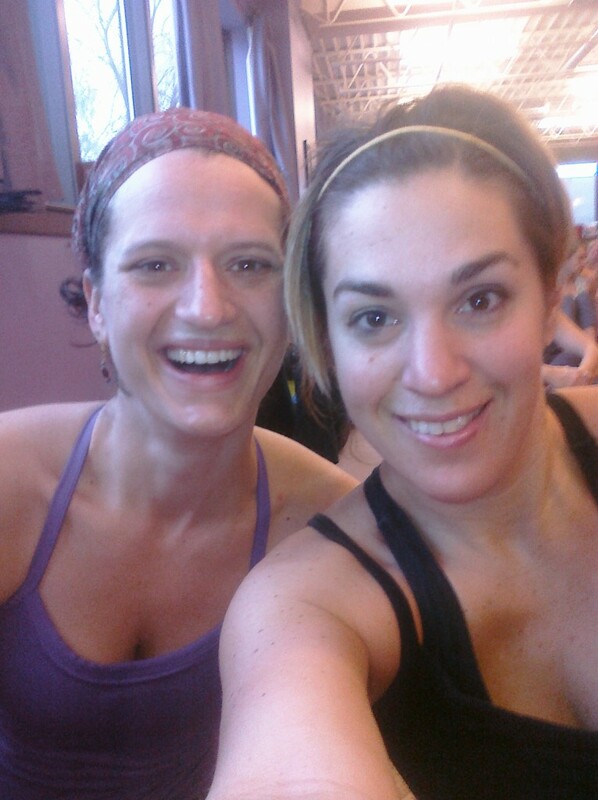 The thing about hot yoga is that you will have sweat coming from body parts you didn’t know could sweat. Like your elbows. I was a little intimidated by the idea of trying a 75 minute class where I would be sweating while twisting my body into a human pretzel. I’ve taken regular yoga classes before. I can feel my heart rate go up and blood get pumping in the cooler temps of those classes. I was a little uncertain if I might be passing out at some point during the class. The first thing I noticed was that the class was PACKED. We’re talking 7 rows across at least 10 rows packed. That’s the first sign that you know it’s a good class. I was grateful that my friend choose spots for us in the 2nd row to the right by the window. I think if I was in the middle of the herd I would have felt a bit claustrophobic with all of the people surrounding me in a hot room. 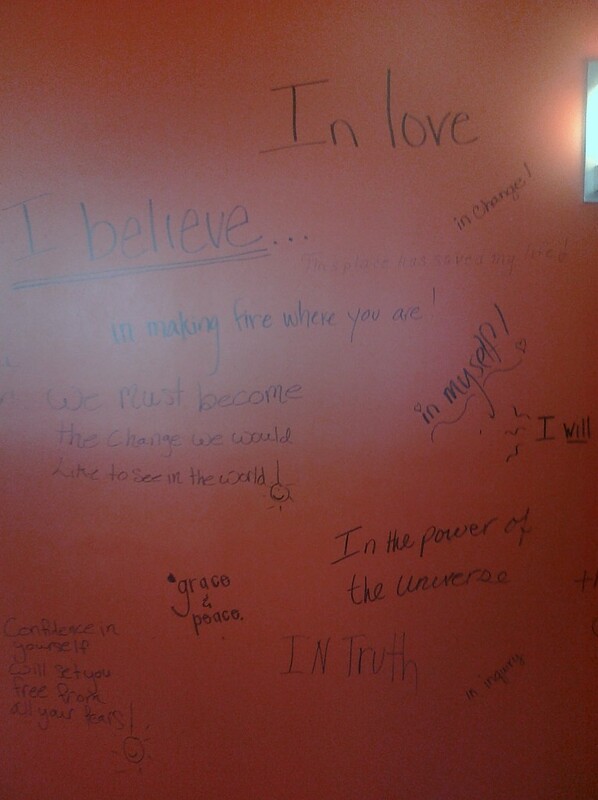 The room had quotes and inspirational encouragement written on the blackboard along with instruction for better form. I’ll admit before the class started my mind wandered to thoughts of how embarrassing it would be to carried off in a stretcher if I didn’t make it. The instructor asked how many newbies were in the class that day at the beginning of the class. It was a relief to know I wasn’t the only new one. The instructor got us started with breathing and several poses that I was familiar with from taking my “normal” yoga class. She was really encouraging and the pace felt really fluid. I didn’t feel like my heart rate was getting too high to where I wanted to faint or run out the door from feeling suffocated. 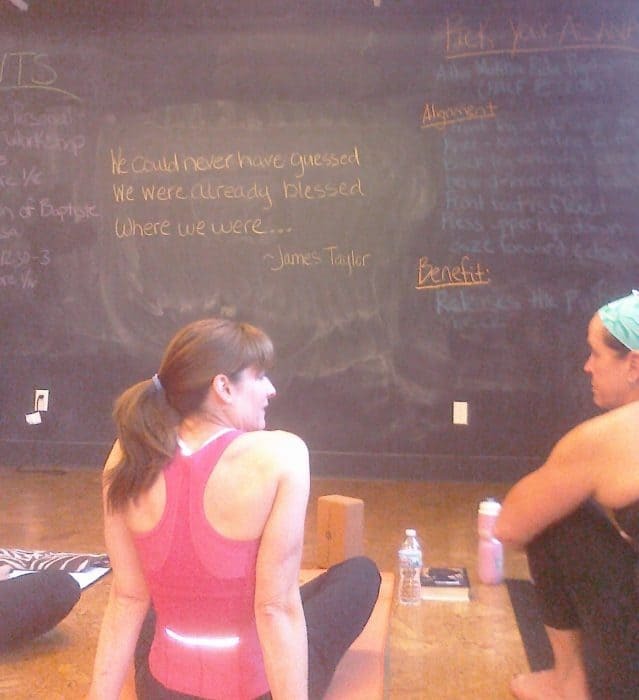 At certain poses it was great to turn my head and look at inspirational quotes or phrases on the wall. My friend said that the grace and peace encouragement really stood out to her during our class. She was also super helpful with showing me how to get better form when my arms were crossed the wrong way for a balancing pose. At one point of the class we partnered up and helped each other with poses that took us to a deeper stretch. What’s nice about the a warm room is that your body seems to stretch way easier than normal. Which is good because I’m guilty of not stretching enough with my regular workouts. You will also SWEAT from EVERYWHERE but so is everyone else which causes you to feel less insecure than you would in a regular class. 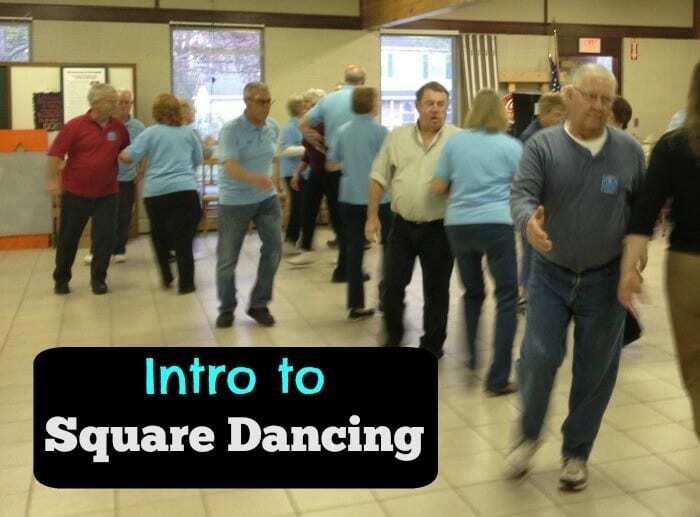 The whole class went by way faster than I expected and was really enjoyable. I concentrated on being in the moment of focusing on each pose. 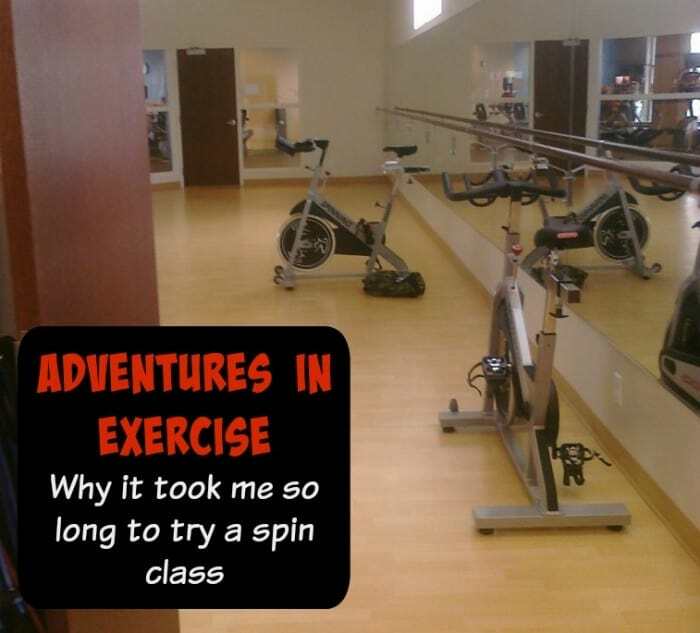 It was also good that there wasn’t a clock in site because I tend to peak at the clock during my normal exercise classes to see how much longer I have to endure. I would definitely recommend trying a hot yoga class. The picture for the blog post is our “after” pic. I really felt refreshed and like my body had really accomplished something. 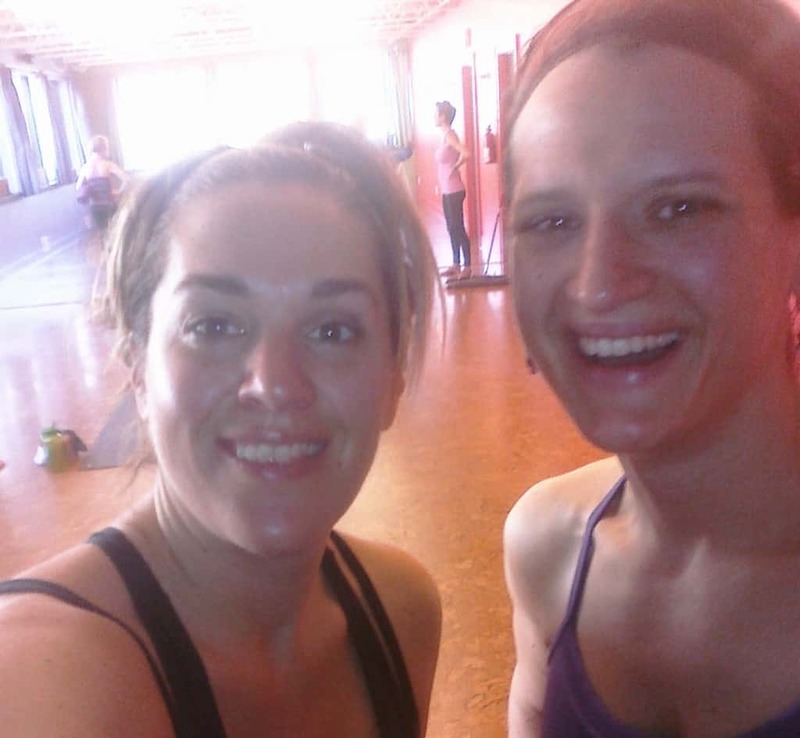 If you want to try a hot yoga class try check out Funky Buddha Yoga Hothouse on my discount page or to find a hot yoga class near you. I’m always looking for interesting, new, fun, forms of exercise. 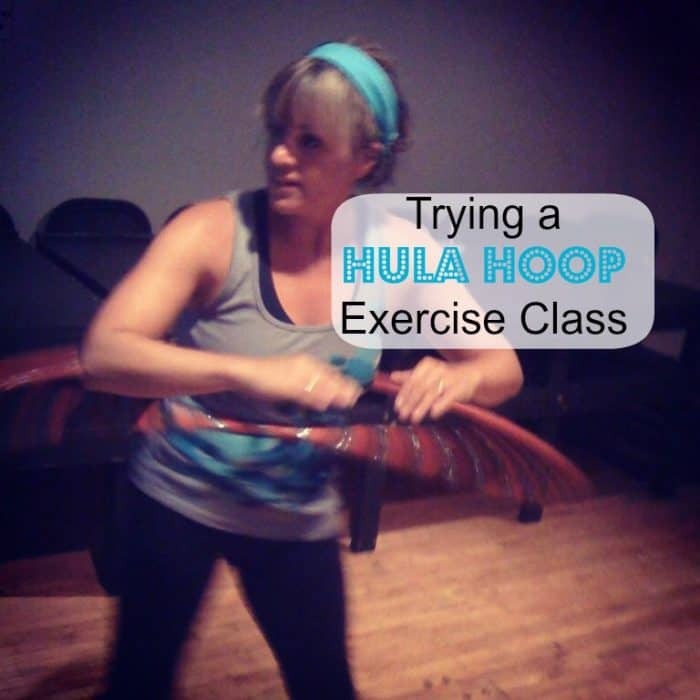 I’ve read about a lot of celebrities who use hula hooping as part of their regular exercise routine to keep their core trim. 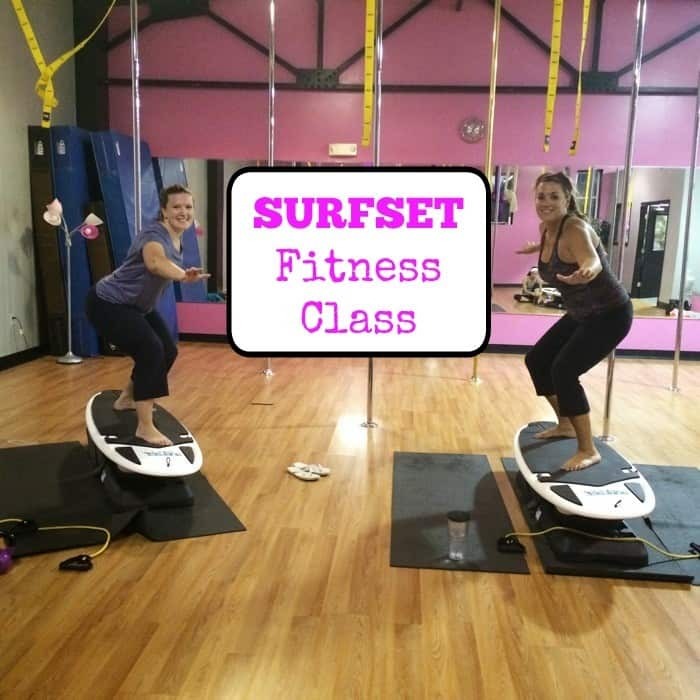 I found a local drop in class in our area and recruited a friend to try it with me. I was never good at hula hooping as a kid so I was relying on the instructor to show me what I had been doing wrong all those years.